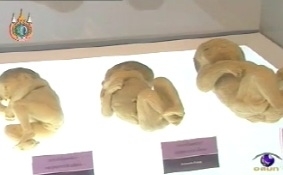 Those loving anatomical studies should listen to this: Chulanglongkorn University’s Faculty of Dentistry in the Thai capital recently launched a museum of the human body for anyone interested in what’s inside our physical selves. 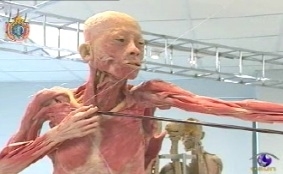 The plastination technique, first developed in 1977 by Gunther von Hagens from Poland, was applied, where water and fat are replaced by plastics, yielding specimens that can be touched, do not smell or decay, and retain most properties of the original sample. 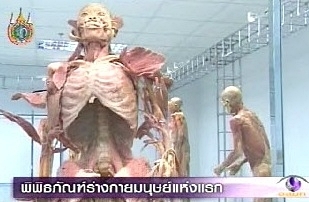 The first and only in Southeast Asia and one of only 11 museums of this kind worldwide using such technique, the Museum of Human Body presents whole plastinated human bodies and bodily organs in detail, both internal and external, including muscles, vascular system, and baby formation while still in mothers’ wombs. The display covers 131 pieces, valued at over Bt100 million. The Faculty of Dentistry was donated the human bodies from Japan’s Medical Doctor Soft House Company in cooperation with Prof Kazuhiro Eto, former dean of the Faculty of Dentistry, Tokyo Medical and Dental University. 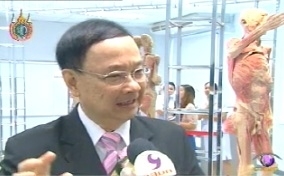 Chulalongkorn Rector Prof Dr Pirom Kamol-Ratanakul said the human body parts are for medical and dental students to study in three-dimensions, which is supplementary to ‘the principles’ bodies’, or bodies donated for teaching. “Actually, the plastinated human bodies cannot replace the ‘principles’ but they support better understanding of anatomy. In class, there’re many students learning from the teachers, or maybe they learn the human body piece by piece, so maybe the connection of each part of the body is not as clear as displayed in this museum,” said Prof Dr Pirom. Some high school students visiting the museum said they knew of its opening from website news, and they invited others to have a look, saying it’s surely worth a visit. Currently, the ‘principles’ are insufficient for the medical studies due to the small numbers of donated bodies due to religious beliefs. A donated body is for up to six students for study. Campaigns must be made to educate the public to the idea that a body donation can be a type of merit-making and that it allows medical students to study further and become doctors to cure others. 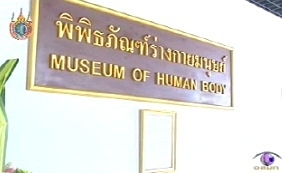 The Museum of Human Body is open for students and the public Wednesdays from 12.30-3.30pm free of charge until the end of September at Chulalongkorn University’s Faculty of Dentistry. Admission fees will be charged after that. Individuals and groups are welcome.